Show is on in 9 days! Inhabitants of an alternate realm have fallen out of touch with their souls. Their lives are now in danger as a creature has been discovered travelling the universe and consuming lives where souls are not strong enough to resist. An enlightened messenger, BEACON, is on a mission to help awaken the people and help them find their inner rhythm. Will Beacon be successful in unleashing people’s power to express and save us from this tragedy? 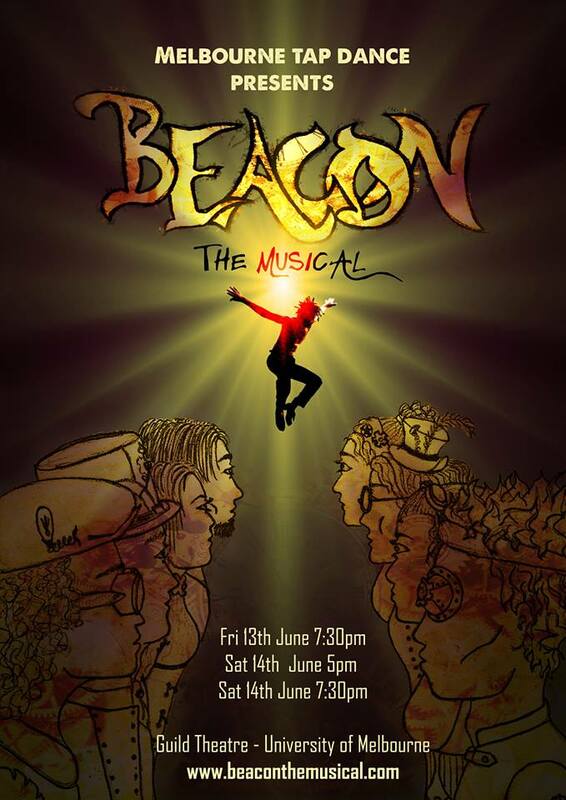 Audiences will feel invigorated and inspired as they follow Spark, Rivet, Chain, Blade, Tinker, Nickel & Lock on their journey in this steam-punk inspired setting with new and original funk rock songs, infectious rhythms and high energy tap dancing that can be described as visual and dynamic. This is a new theatrical production by creators Kricket Forster & Winston Morrison from Melbourne Tap Dance. Directed by David Clisby, a veteran of 40 years in the entertainment industry; highlights include working as movement director in Australia and Europe for award winning ensemble theatre company Triad Stage Alliance and playing title roles in over 600 performances in major European touring productions of Macbeth and Hamlet.